Vote forHunter Valley, NSWTop Regional Destinations Which are Australia's must-visit destinations? You help us decide. New South Wales' lush Hunter Valley has become one of Australia's premier wine producing regions, playing host to numerous acclaimed cellar doors and boutique wineries from some of Australia's biggest wine producers. The myriad vineyards and lush fields of the region give it a tranquil quality that serves to satisfy visitor's love of food, wine and scenery – simultaneously making it not just a destination for wine connoisseurs, but also a pleasant escape for those simply looking for a change of pace from the city hustle and bustle. The greater Hunter Valley region is a wine-lover's dream and is home to more than 90 wineries featuring some of the finest Semillon, Chardonnay, Shiraz, Cab Sav and Pinot Noir drops in Australia. Reached in just around 2 hours from the Sydney CBD, the Hunter Valley well deserves its place as both a great single and multi-day trip destination for locals, interstate and international visitors. The region's famously delicious food also deserves a mention here as the Hunter Valley is home to some of NSW's best restaurants outside of Sydney. Many of these local establishments take full advantage of the area's local produce with rich cheeses and fresh fruits making their way into some spectacular creations. After you have finished indulging your palate, there's plenty more here to keep you occupied as well. If you're looking for things to do other than visiting wineries then you won't be disappointed. Hot air ballooning is a popular pastime that allows you to see the rich tapestry of fields and vineyards from high above, while cycling through the vineyards, horse riding through nature, enjoying a round of golf and being pampered at day spas are other must-do items in the Hunter Valley. The weather of the Hunter Valley largely reflects its overall atmosphere, with a cool and cosy climate featuring largely blue skies and crisp, fresh air. Nestling up by the fireplace with a glass of the good stuff is an indulgent delight during the cooler seasons, while the colours of the region truly come to life during spring. Take the opportunity to use the Hunter region's abundant nature to burn off some of those wine-and-cheese calories and you'll soon discover there's plenty to explore here – whether it's by wheel or foot, greenery abounds in the form of both the national park of Barrington Tops with its extensive rainforest terrain, the picturesque blue-and-green contrast offered by the waters of Lake St. Clair (the perfect spot for a picnic), and the varied farms and markets of the Upper Hunter area. Regardless of if you're merely a Sydneysider wanting to make the relatively short getaway, or an interstate Aussie or international tourist looking for one of Australia's best blends of both culinary delights and relaxation, the Hunter Valley's knack for providing exactly what the body needs makes it an idyllic escape locale. Looking to pay a visit to the Hunter Valley but not sure what to do? Here are some of the most essential experiences. Need more info on the Hunter Valley? Check out our detailed travel features on this top spot below. The Hunter Valley's wonderful blend of visual scenery and culinary delights makes for a diverse range of ways in which to experience its offerings. We look at ten of its must do experiences here. 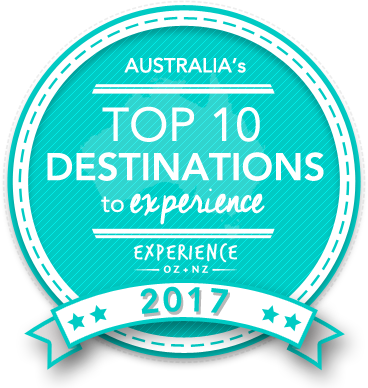 Is the Hunter Valley Australia's Top Regional Destination to Experience for 2017? Vote now for the chance to WIN an epic trip to one of Australia's top destinations!